Voicea, (formerly Voicera) announces the release of Teams, an enterprise offering that tackles the complex issue of too much time spent in meetings. Voicea’s Teams makes meetings a structured data asset that can be accessed by an entire team. This structured meeting content enables others who were unable to attend to still benefit from the ideas, discussions, and actions shared. Teams ensure that they can extract the value and receive actions in a faster, more accurate manner, regardless of attendance. Teams prevents muddied knowledge transfer, which usually lacks the context of meeting conversation. Voicea’s meeting highlights and summaries are captured by user commands plus AI and these can be shared through new team Channels. Business users can then assess meetings that are important to attend and participate versus the meetings they need to be aware of but not attend. This helps solve the professional “fear of missing out” or FOMO, that many executives and managers experience. Teams seamlessly allow users to sort meetings via channels and projects and provide access to key members on your internal and external teams. Voicea users have seen dramatic increases in efficiency as a result of using these tools. On average, Voicea users save up to six hours per week on meeting follow-up and 77 percent of users report a dramatic increase in their conversation follow-up. Teams also provide administrative rights so businesses can decide who can access and review meeting content either within the domain or beyond. Teams represent the beginning of the next step for AI tools at work. Voicea will be rolling out a series of features aimed directly at the enterprise. Voicea believes that users are more comfortable with AI note taking because they realize it saves them time and allows them to focus. 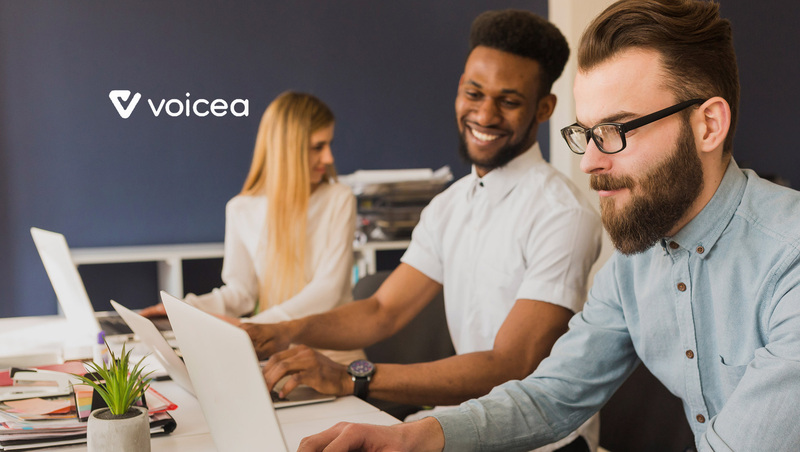 Over the last year, Voicea (formerly Voicera) has seen wide adoption in all sorts of companies, ranging from 10-person to 10,000-person organizations.